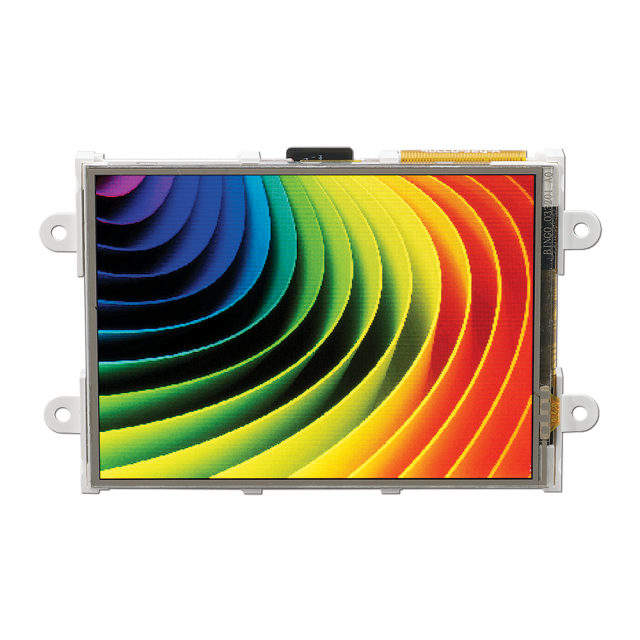 This intelligent LCD touch screen display module adds interactive, multimedia functionality to your microcontroller projects. The module (uLCD-32PTU) is from 4D Systems, a leading developer of LCD screen technology. Implementation of the screen into your project is made easy with with 4D System's comprehensive "Workshop4" IDE tool suite. The IDE tool will help you setup graphical interfaces that you will be able to use with a simple serial connection to your favorite microcontroller. The touch screen module delivers astounding colors perfect for animations, slideshows and other multimedia presentations. It also has a microSD card connector. Use this expandable memory space for multimedia files, including movie clips or sound files. 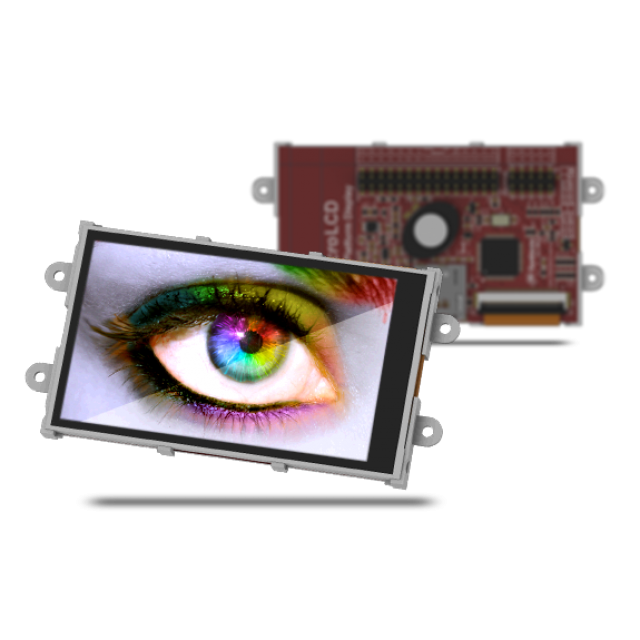 The uLCD-32PTU can be programmed in its native 4DGL language (similar to C), or it can be configured as a serial slave. 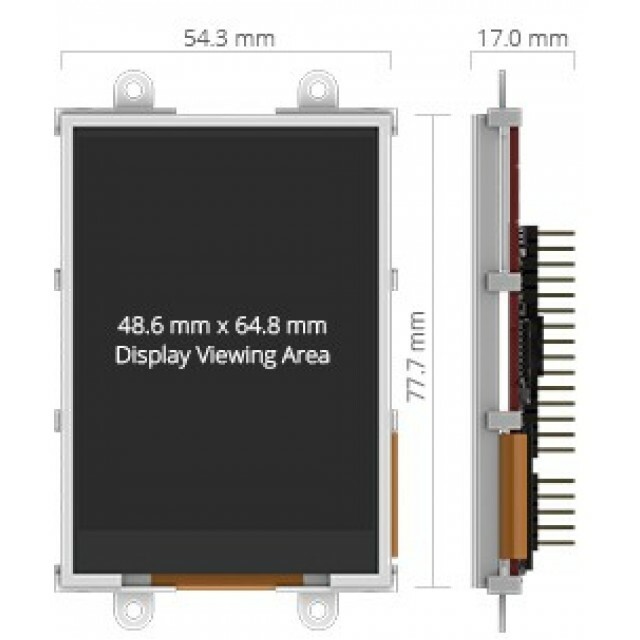 The module gives you the freedom to meet your project's needs in one compact package. Dedicated PWM audio pin driven by WAV files for your multimedia applications. Dimensions: 56.32 X 79.69 X 15.9 mm [2.22 X 3.01 X .62 in] (includes corner plates). Screen Dimensions: 54.34 x 77.70 x 3.70 mm (2.14 X 3.06 X 0.14 in). NOTE: Micro SD card and 4D USB to serial adapter required for use. If you do not have these please see our full kit .